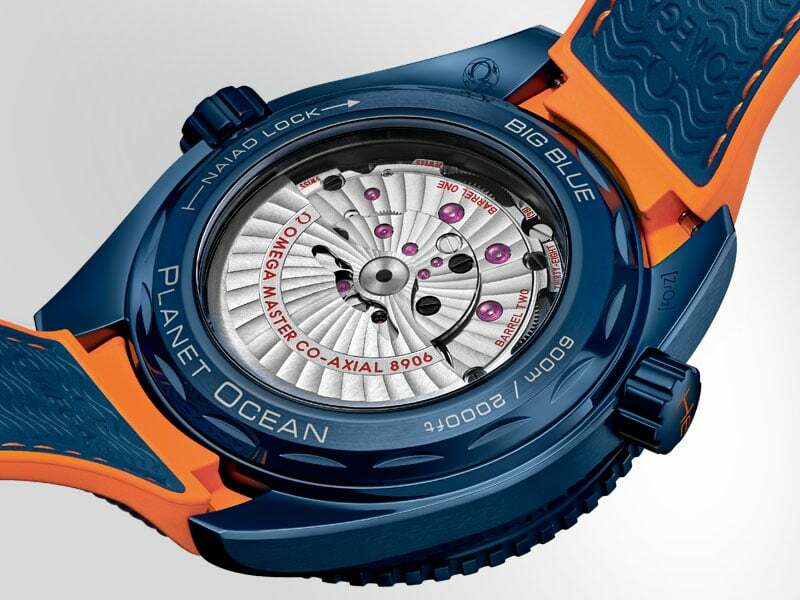 Determined to dive even deeper into the art of ceramic watchmaking, and inspired by the success of 2016's Planet Ocean "Deep Black", OMEGA set out to create a combination GMT and divers' watch fashioned from a single block of blue ceramic. 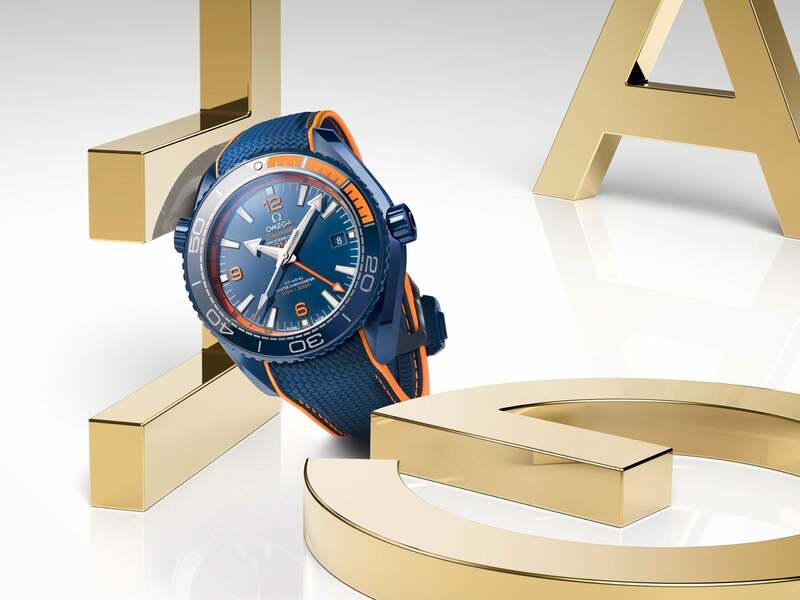 The 45.5 mm watch sports a blue ceramic dial with an orange GMT track. 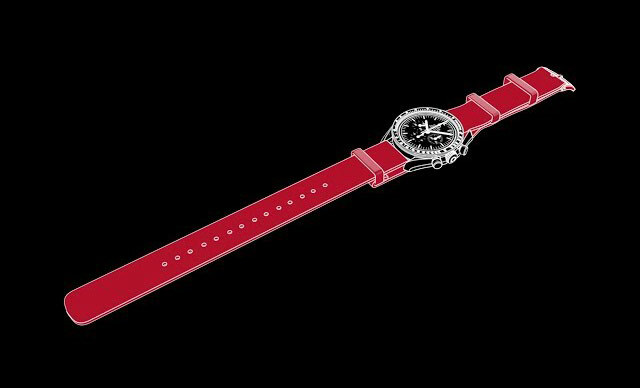 Adding sparkle are hands and indexes in 18K white gold with a white Super-LumiNova coating. 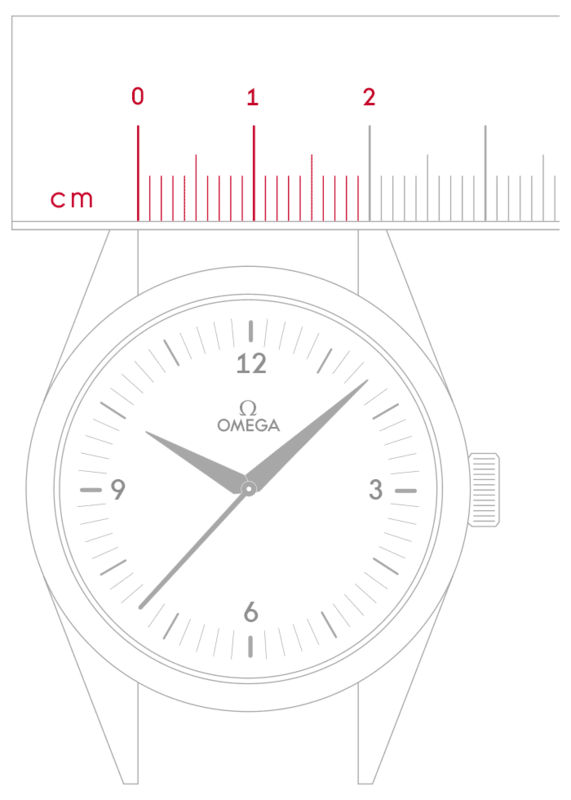 The blue ceramic bezel features a diving scale with Liquidmetal™ numerals. 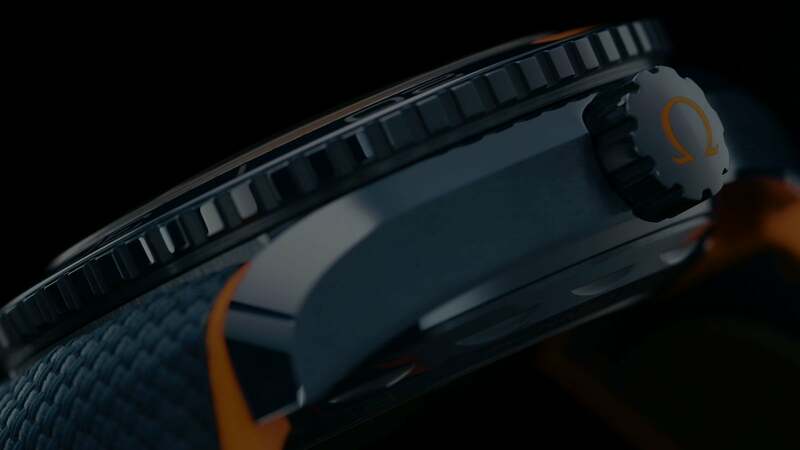 A blend of orange rubber and ceramic covers the first 15 minutes. 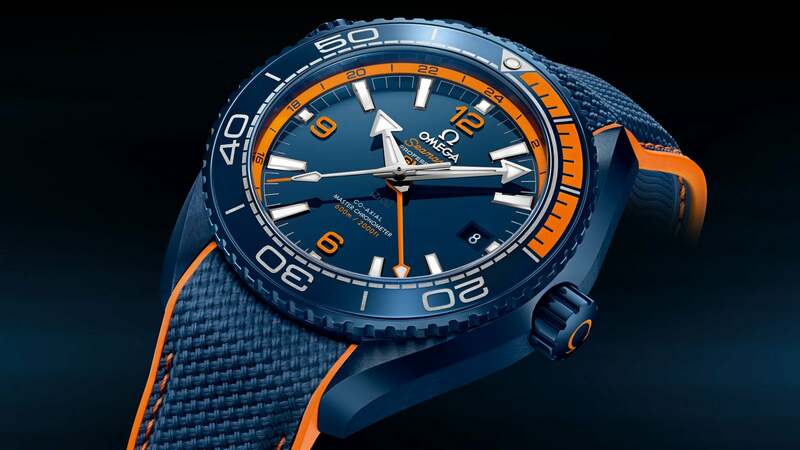 "…Ceramic watchmaking dives into the blue, with impressive results…"
The reverse side of the "Big Blue" is equally impressive, with its wave-edged screw-in caseback, which features a unique OMEGA innovation: a patented ceramic Naiad Lock that keeps the engraved wording pleasingly in position. 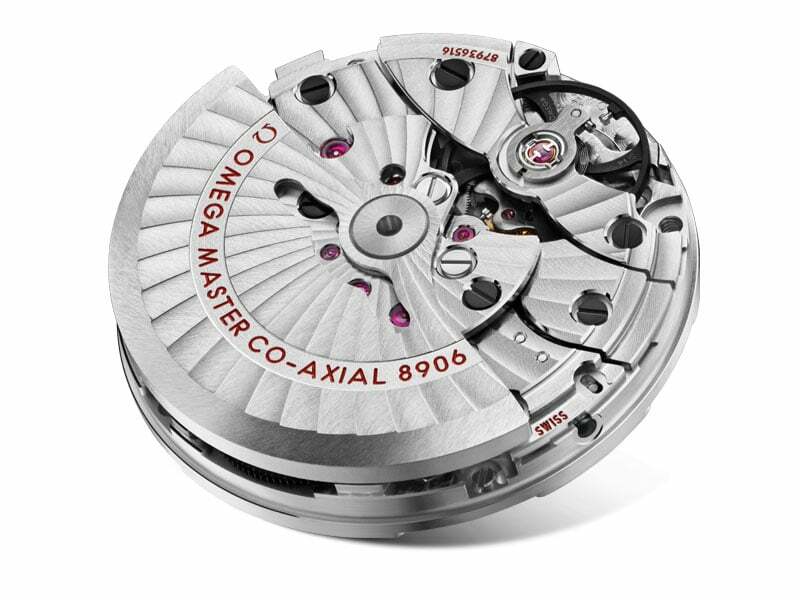 Water-resistant to 60 bar and able to withstand magnetic forces of up to 15,000 gauss, "Big Blue" is driven by the OMEGA Master Chronometer calibre 8906. 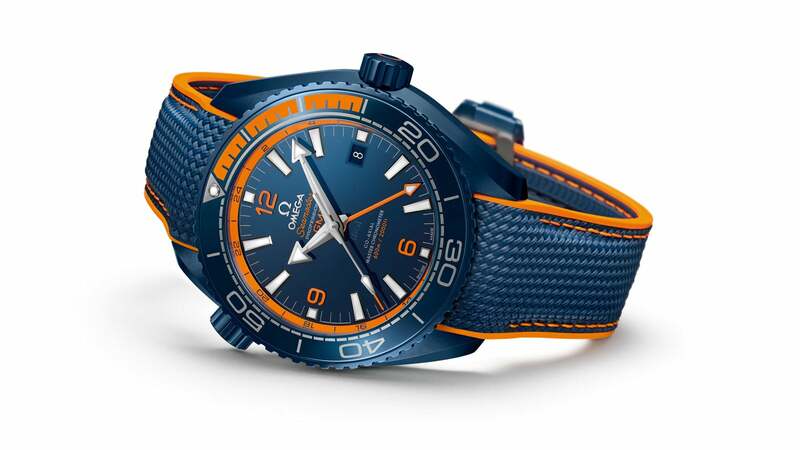 The blue rubber strap with orange stitching and orange edges has been designed to give the appearance of being fabric. It is treated with an anti-bacterial coating, features a wave pattern on the underside and is held to the wrist by a blue ceramic foldover clasp.